YIP.7.8 – anniversary of a rescue, originally uploaded by earthchick. It’s time for me to celebrate again, and I want you to celebrate with me! Entries for the giveaway have now been closed. Winner announced in next post. Thanks, all, for your sweet comments! 2 years ago, while vacationing at Santa Rosa Beach, Florida, my then 3 year-old son fell into a hole left by some other children, six feet from where I stood, while I was in conversation with my husband. It was only a matter of seconds before I realized he was gone from my peripheral vision, and as close as we were to the water’s edge, I thought he had been swept into the water (which was very rough and choppy that day). For five minutes, my husband and many others searched for him. Long after we had given up hope of finding him alive, a young woman noticed an indentation in the sand near our towels, stuck her hands in, and felt the top of his head 8-10 inches under the surface. (For the rest of my life, I will be grateful to Erika Orlando, now Erika Weiland). 1. When you arrive at the beach, always check nearby for any holes left by others, and fill them in. 2. Do not dig holes any deeper than knee-high of the shortest person in your group. Yeah, I know this sounds extreme. If this feels more extreme than your group can accommodate than perhaps you can at least stop at waist-high. 3. If you do dig holes, fill them in before you leave. The hole my son fell in had been left by other children. 4. Make sure any children you go to the beach with know that holes and trenches can be dangerous, and that they should let you know if they see any abandoned holes. You don’t have to do anything but leave a comment letting me know you’d like to celebrate by winning some yarn. (I’m cross-posting this on flickr as well, and you’re welcome to comment in both places, but I’ll only count each comment as one entry). If you don’t like yarn, don’t want yarn, but still want to leave a comment, that’s great too (but let me know you don’t want to be entered). I’ll draw a winner next Wednesday, July 15, after noon EST. And if you’d help spread the word about sandhole safety, too, that’d be great. Let me know if you blog about this, or tweet about it, or otherwise spread the word about sandhole safety, and I will enter you in the giveaway a second time. I realized, reading this, that I read your original posts back when you posted them, because the feeling of terror that came welling up was so familiar. I wasn’t a regular reader of your blog at the time, and I think I’d come in via link. I wanted to thank you, as well as to rejoice in the fact that you got your son back safe and sound. I’d never heard of the danger of sand holes prior to reading your original post, and with three young children, this seems like an important one to know about. I’ll spread the word. I’m so glad your family is OK. I remember your blog post from last year – I can’t believe a year has already gone by. Your story is so touching and educational at the same time. Love the photo of you and your son…beautiful! Wow! Thank you so much for allowing us to celebrate with you and your family. I have two precious daughters and so thank you also for educating all of us about sand holes. I pray continued blessings on your family! I remember when this happened … I cannot believe it has been two years already. I had an I-got-her-back experience with my oldest daughter; those are the days that haunt your dreams forever. I cannot tell you how happy I am to see this picture of you with your beautiful boy. Blessings to you all ….. I remember this story from you…I tell everyone I know. Everytime we go to the beach, I retell the story. I was just there a few days ago and the story and the fear still kicks in! I remember reading this story last year — it made my blood run cold. I am SO grateful that you had a happy ending to the experience! Wow, I can’t believe it was a year ago when I read your first anniversary of a rescue post. *sniff* You are all so so lucky!! I remember where I was sitting when I read the story two years ago. Having five kids, I don’t even realize all the hazards we’ve avoided along the way. This is worth a celebration!!! I’ll celebrate your family any day! I was a bit like the sandhole police on our winter vacation, I must admit. It’s a very joyful anniversary! I remember I had never heard of such accidents before your story. Even though we’ve never met, your family feels very real to me in large measure because of the scare you had then. I grew up at the beach and was always terrified of things like that happening. I’m so glad that he was okay, definitely a cause for celebration! I’m glad the aniversary you’re celebrating is, ultimately, a happy one! Since reading your post last year, I’ve been extra cautious about holes in sand. I’ll readily admit your blog was the first time I ever heard about this (in a past years post) but now I’m happy to help spread the word. I’m going to Onekama, MI this coming week and my boyfriend and family always dig really big holes. I’ll be sure to mention this to everyone and make sure we fill in our holes! I remember reading about this when you posted last year. So scary to think what might have happened. Glad that you are able to celebrate. It touched me so and I am remembering it again right now. I can’t beleive it’s been a whole year since. Have a wonderful celebration. With or without the yarn, it’s a reason to celebrate! When I first found your blog last year I read your post about your son and it brought tears to my eyes as I felt your relief at finding him okay. It brings back memories of my own ordeal with my son – he had a grand mal seizure at age 1 1/2 seemingly out of the blue. And the worst part was that it wasn’t a typical seizure, he wasn’t violently jerking, he fell backwards and went as stiff as a board. His eyes rolled up into his head and his lips went blue. I hysterically thought he was dead. I will never forget that feeling, total devastation and fear. Anyways, I just wanted to share that I somewhat understand what you went through, and I am so thankful that everything turned out okay for you. Take Care, and thanks for sharing again! i’d love to celebrate by winning some yarn. this yarn seems blessed by good things, just by the mere fact of its involvment in your anniversary! I remember reading your original post two years ago. Your experience and the way that you shared it has definitely affected my behavior at the beach! I’m very careful about holes now, and I’m sure to tell others about it, too. The original post about your family’s near-tragedy was my introduction to your blog. I remember how frightening and strange it sounded – sand holes were simply not on my radar. I’m glad I found your blog, and I’m glad your family is healthy and whole. Praise God! for his mercies are new every morning. A day to celebrate indeed! Yes, I do remember hearing about your story, how that happened. I never imagined such a scenario existed like that and now I am cautious when we go to the beach. Thank God your son was saved and is doing great! 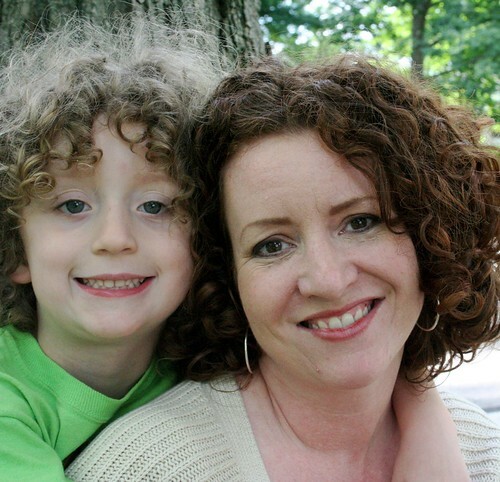 Thanks for sharing (again) the story of your renewed life with your son! My boys love to dig deep and wide holes at the beach, so I’ll be sure to remind them about filling them in before we leave, and not making them quite so deep to begin with. Wow. I’m just a newcomer to your blog (I found it just the other day via one of your project pages on Ravelry). But I want to say thanks for sharing your safety message. What an awful ordeal to have gone through. I nearly lost my elder sister and mother to drowning at a beach more than 25 years ago now, and those moments of heart stopping terror and fear will always be with me. And now another something to watch out for – of course in retrospect it seems obvious, but I had never even thought of this danger before. Thanks for sharing. i will never forget that post. i cannot tell you how glad i am your little boy was okay. heart stopping. i always think about you when we go to the beach and i always will. thank you for being so proactive, for spreading this awareness. I remembered your story and when we went to the beach in NC this summer, I made sure that each and every hole dug, no matter how small, was filled up by the members of our group. It is something so simple to do! I remember reading your story last year and have been cautious about sand holes with my children ever since…ok…honestly, with EVERYONE’s children…even perfect strangers. They think I’m nuts, but if I can save one little one, then I”ll take the looks! Thank you for bringing your story to our attention. In the same vein, please always look out for floating logs and other debris close to shore – waves can throw things down onto a child (or adult for that matter) with incredible force (either while swimming or walking along the water line). i’d love to be entered in your celebratory giveaway. thank you for sharing this story of hope and happy endings — some loss in my life these days, and so nice to be reminded of when the amazing and seemingly impossible occurs. I’ve been reading your blog for the last few months so missed the earlier posts. I never would known about this and what to look for when at the beach. Thank you so much for the aweness. 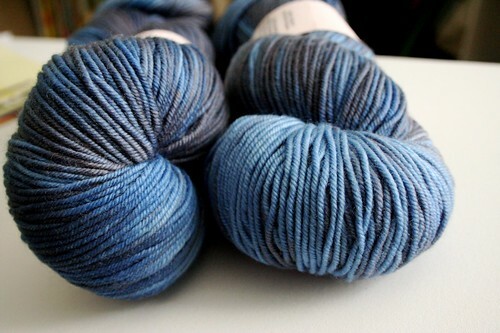 Thank you, too, for the yarn give away and congrats to whoever wins! I remember this from last year and I’m so glad this didn’t end in tragedy for your family. Thanks for the reminder about digging at the beach. I read your original rescue post two years ago and ever since have been practicing sand hole safety. Were in Michigan too and are often found at Lake Michigan in the summer. I have three sons and countless nieces and nephews and so cannot thank you enough for sharing this story. Each year when I read your post I feel so grateful that your story had a happy ending. Many blessings. I’ve lived on the beach, next to the beach, and visiting the beach my whole life. I have never heard of the very real and scary sandhole dangers until I ran across your original post informing us of what happened. Thank you for spreading the word keeping us aware and telling us how we can work to prevent the same thing happening again. I’m so happy your son is safe the results could have been disasterous, I’m sure you know, you are very blessed. What a guardian angel your son has! As others have said, I too remember reading your original post (introduced to your blog by zigzagstitch). Thank you for telling us about the danger of holes at the beach. It is wonderful that July 8th is a day of celebration for you and your family. I remember this. And I remember the happy end, and feel overwhelmed by terror and joy. I’m so glad for you that everything ended with your son being found and healthy: always a fantastic reason to celebrate! I have told so many folks about your story. I am positive you have created much awareness about the dangers of sand holes at the beach – and it will keep growing. Thank goodness for your happy ending! I began reading your blog several months ago when I stumbled upon it looking for knitting sites. I am a new knitter and constantly in search of inspiration. I am happy to say you inspire me but not necessarily b/c of knitting. As a mom with kids 5 and 3, I am in awe of your engery! Miracles are everywhere! God bless you and your family Stacey! I’ve linked here from my blog and will be sure to talk about this more to friends and family in the coming days – in FL this is a very real danger. Many blessings to your family and we will certainly pass the word on re: sand safety. They yarn is gorgeous and in the beautiful spirit with which it is offered, I’ll knit up a charity project if I win 🙂 Gotta keep paying it forward! This marks a year that I’ve been reading here. Can’t even remember who directed me this way, but I’m glad I landed 🙂 I’ll post about this over on my blog, good time of year to make people aware of this danger. And I wouldn’t mind being added to the drawing. What an utterly frightening story! Timely though, as we’re packing up to head to the beach this weekend. The kids love to play in the abandoned trenches left by other kids. After reading about the fear and agony you went through, I’ll be sure to keep my eyes fixed and focused. Thanks! I’m celebrating your son’s life today. I’m so, so glad that story has a happy ending. I remember reading this the first time, and often think about it. So glad that you are marking this day with celebration and joy! Oh, and please add me to the drawing. Thanks! So glad to hear that your little one came through it OK. I first found you through a mention of last year’s anniversary on another blog and have always thought of your story. We were recently at the beach, and looking for holes was the first thing I did. Thank you for being sure people know about this. Just thinking about your story again today brings tears to this mother’s eyes. I’m so, so, glad your boy is safe. It is indeed a reason to celebrate. Yikes. I’m so glad that your little one was located so quickly. I hadn’t heard of this danger before despite growing up near Lake Michigan. A very good way to celebrate. I’m so glad for your family. No matter how many times I read this story, my heart nearly bursts every time. I am so glad that this is a day of celebration for you. Oh, my gosh, that is such a miracle. I can’t imagine how panicked you and your husband must have been. It never occurred to me that children can fall into holes created by others. My sister and her huge group of in-laws are going down the Shore for vacation next month. I’m sending them a link to your story. I’m glad your son was found. I am celebrating with you! Sending hugs to you, your miracle boy and the rest of your family. Thought of you and your boy when we went to the beach recently. Had a bit of a serious lecture with my kids (they were mildly perturbed but got the point) and I spread the word wherever I can. Really, I can’t believe it’s been two years. A celebration of life! I remember reading your anniversary post last year and I spread the word about holes at the beach to my family & friends. First off, let me say how glad I am that your little one was rescued and that no harm was done. That in and of itself is a miracle and something to be celebrated. I appreciate you for posting about this topic and choosing to include us in your celebration. i’d love to celebrate by winning some yarn. i’m so happy for your son’s miraculous recovery. i respect that you post about this every year, and living in a beachy state, we need the reminder. thank you. Such a touching story! Now I am aware of this danger. Thanks for sharing. I’d love to win some yarn too! I love the idea of celebrating things found (or saved!) and I appreciate your sharing the safety precautions with us. I hope to take my girls to the seashore soon (we are landlocked, and have never been.) and I would not have known to be aware! Blessings to you and your family, and to Erika Weiland as well. I came to this post from Libby’s blog, just curious about what was this sandhole story. I’ve never heard of this before and I was terrified reading what happened to your little one. I’ve been going to the beach all my life as I live near to the sea but never thought playing in the sand could be so dangerous. Thanks for sharing your experience, I’ll be aware of holes when I go to the beach from now on. I’d like to enter the giveaway too but it’s ok if it’s only for US residents -I live in Spain. I am definately touched by your story and how we can all learn from this horrible experience. I am so glad you had this miracle in your life. Thank you for sharing. I discovered your blog shortly after you initially posted about this. Thank you for sharing your story with the world and educating us about sand safety. I decided to spread the word by sharing your story on my blog (http://blueberryblues.wordpress.com/). BTW – the pictures of you and your son, year after year, are gorgeous. Oh how he’s grown! Oh wow, praise the Lord for Erika! I will heed your warning! Thank you!! I recall reading the orignial post, and thinking back to my beach days. Had I ever left a hole behind? I really don’t think so, I certainly hope not. I’m thankful that you continue to remind us of this dangerous situation. I’m even more thankful that you’re episode ended so well. I remember the first post and then last years as well. Everytime I read that it brings me to tears. I can only imagine the panic and the sheer joy that would flood you! I told myself I wasn’t going to read it this year (pregnant and hormonal lol) but I couldn’t help it. It’s just one of those ones you need to read. Happy Celebration. I am so happy for your family and the children who dug the hole. The outcome could have been devastating for everyone. I had never heard about sandholes, but have been vacationing at the beach for many years with my children. Thank you for posting this information. Although I don’t really need more yarn, I sure would like to have some STR. Blue is my color! Since I read your story last year, I think of your son every time I’m at the beach. I’m so happy he’s alive and well and that you’re able to celebrate this anniversary! I’ve been reading your blog for almost two years? Wow. I think of him often when we go to the beach. As a mother, I can’t even imagine what you must of went through, and I’m so glad for you that you can celebrate this day each year. I’d love to win some yarn! I’ll also blog about this early next week! What a shocking story. Thanks for sharing and getting the word out. I can’t imagine the panic you felt initially and the immense relief that followed. Just know that you have definitely made a difference and have probably saved some young lives. We’re at our cottage in PEI for a few weeks with our almost-3-year-old and 8 month old, and I was just thinking about your earlier posts about this the other day. Thank you for continuing to raise awareness of this, and for putting your experiences and reflections into such beautiful words. Your blog was the first one I really ran into (other than the Yarn Harlot) and it continues to be one of my absolute favourites. Thank you. Happy Anniversary to you and your son! I can’t imagine what you went through or even the joy and rejuvenation you feel now, two years after. And thank you for the helpful hints for preventing something like this for others. Truly something to celebrate. May you and your son share joy for many years to come. I remember reading about this last summer, but now my life is lot different with my daughter in the picture now. I will definitely watch for this when I go to the beach. I am glad you son is well. I think I found your blog last year via a link to your miracle story. I am so thankful that your son was found. I was scared when i first read your story that it would end in tragedy. I am glad that you keep promoting the sandhole dangers. I honestly had never heard of it prior to your story. Oh, I posted it on my FB page too. My TweetDeck account is acting strange after an install, so I will update twitter a little later today. I’d love to be entered in your giveaway. it’s a wonderful way to celebrate the saving of your son’s life. thank you for sharing your story with your readers. Great is the Lord and Greatly to be praised! It is truly a blessing and a miracle to hear that your son was rescued…and to be able to celebrate it’s anniversary! Sure, sign me up for the yarn! I am an avid knitter and would love the yarn. However, spreading the word on “sand holes” will be tops on my list. We live along the Eastern Shore of Virginia with Chesapeake Bay on one side and the Atlantic Ocean on the other. Needless to say, we do the beach thing a lot! Thank goodness that everything worked out for you. Harmless play could have turned into needless tragedy. I will certainly spread the word to save some other unsuspecting parent your trauma. Amazingly, I found your blog for the first time with a link from my friend’s blog about the sand sinkhole. Each time I think about it, I get choked up and feel amazing release when I see pictures and am reminded that LD is with us and healthy. Happy re-Birthday! What a story – I felt your fear there – I “lost” one of my boys temporarily at a busy park once for about 20 minutes. Thankfully he turned up safe. Much as my kids drive me nuts sometimes, I am thankful that they are all safe and healthy. Bless your heart! I came to your blog looking for knitting and was struck by this wonderful miracle! I’m so glad that your little one is okay….truly a day to celebrate! Oh honey–this story just tears me up in so many ways. So glad that it is a cautionary tale and not something so much more unbelievably unthinkable. Your story represents every mother’s worst nightmare. Thank you for sharing it so the others of us my learn from your experience. I’m so happy you got your son back and now have many happy days together. What a story! My brother wandered off on a beach when we were all little and I can remember it like it was yesterday. I’m sure my mother still has nightmares. I’m so glad it turned out alright for you. Thanks for sharing! Wow…what a story and the way you are celebrating it is by sharing. This is so great! I also celebrate my birthday by giving for a week. So this is my birthday week giving and sharing is what I love to do. So let both celebrate together by giving. What a great idea!! Our children just don’t know how much love and fear for them. Your families day out could have been tragic but God was with your son. I’m happy that the outcome was good. Thanks for spreading the word — you’re making a lot of people aware of something they’d never even considered. Hurray for having your little guy safe and sound. I am so happy for you that everything worked out alright in the end. Thank you for sharing this with everyone again! It’s such a sweet, important story! I tweeted a link to this blog post too. I was just thinking about reading your original sandhole post; I had no idea it was on my mind so close to the anniversary. I’m so glad that your story has a happy ending, thanks for sharing it and for creating awareness – I know I’ll certainly be more sand-aware next time I’m out at the beach. You know, I may have commented once or twice about the knitting but I think of you and your family whenever my family goes to the beach. I know my kids think I’m crazy when I fill in other holes on the beach or when I make them fill in holes that they dig. I think it’s great that you keep talking about this to remind people what can happen. Give those little boy’s a hug! I started reading your blog last year about the time you posted this story, and I’ve been so happy ever since that your family is doing so well. Thanks for the PSA, it’s good to remind people to think safe. I have a little personal rule that I generally don’t comment if more than 20 have already been left but I’m breaking that today because I so remember your post about this last year and I so strongly support your desire to celebrate such a gift of life! I missed the contest (my reader sometimes forgets to send me updates fro every blog) but this was an excellent reminder for me and I sent your story to a friend that has moved near a beach. Thank you for reminding us all! There seems to be an epidemic!! Just in the news today!